October is American Archives Month—a great time to flip through the old family scrapbooks and spend time preserving these homemade albums that often hold so much history. 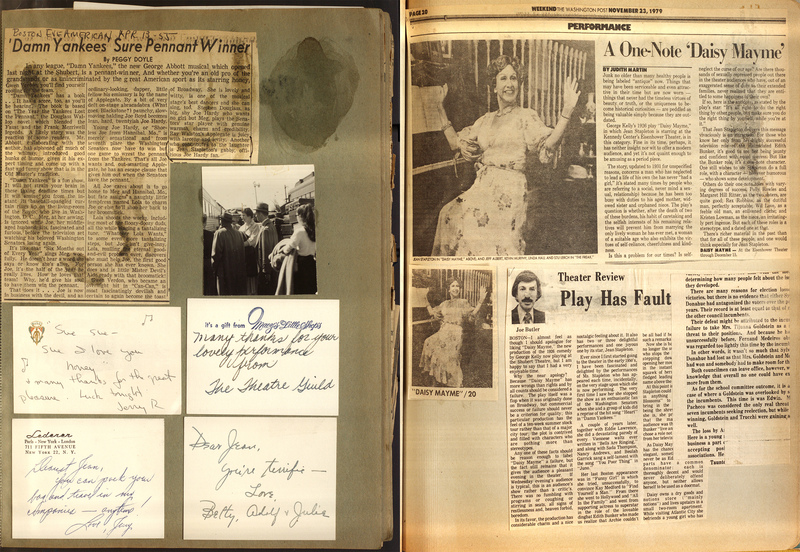 During my internship at the Archives Center at the National Museum of American History, I had the opportunity to process a collection of scrapbooks related to All in the Family actress Jean Stapleton. 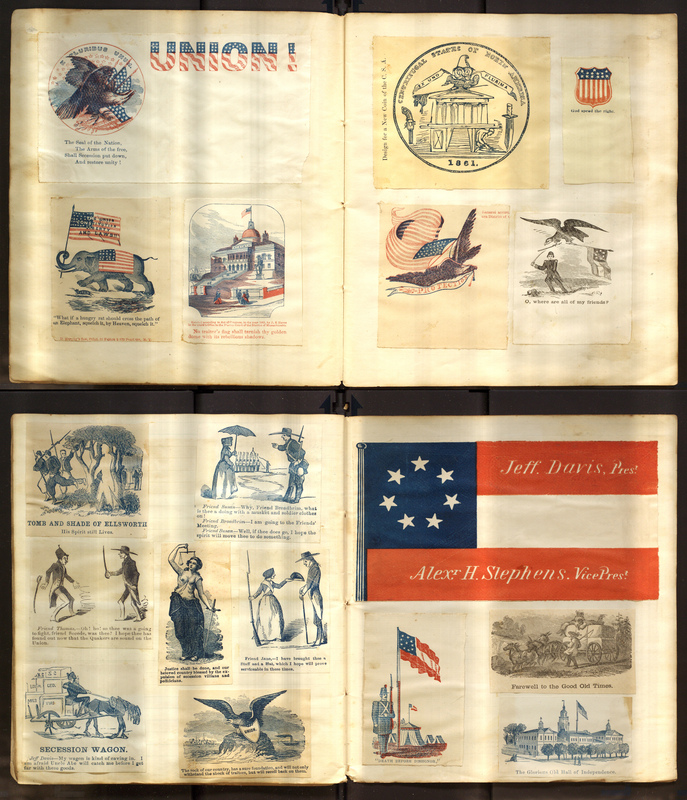 This sparked my interest in other scrapbooks housed in the Archives Center containing intriguing photos, characters, and stories from American history. Scrapbooks are as diverse as their makers. And yet, no matter the topic or preferences of the scrapbook-maker, they likely contain two materials that pose vexing dilemmas for the archivist: glue and newspaper. Archivists are preservers who prevent further damage and protect content for ready access. Alongside conservators who combat existing damage, they care for artifacts such as scrapbooks whose materials might not otherwise stand the test of time. Years after the assembly of a scrapbook, glue remains a sticky issue—or, rather, a rigid one. This became apparent to me when I was asked to date, folder, and box the scrapbooks from the Jean Stapleton collection. Often the adhesive in scrapbooks ages in such a way that items pop off or crack when turning the pages. Consequently, a scrapbook's personal and careful organization of pages could become fragmented. For many scrapbookers, pasting in favorite or interesting newspaper articles was a popular choice. For archivists, this is good and bad. Newspapers provide an authoritative source to situate the albums in time, which is helpful for archivists. However, newspaper is susceptible to deterioration. It is mechanically produced with low-cost wood pulp paper, with short fibers that are brittle and prone to tearing. As such, keeping the paper for an extended period of time is a challenge. Not only is newspaper delicate, but its acidity causes it to yellow and stain materials touching it. 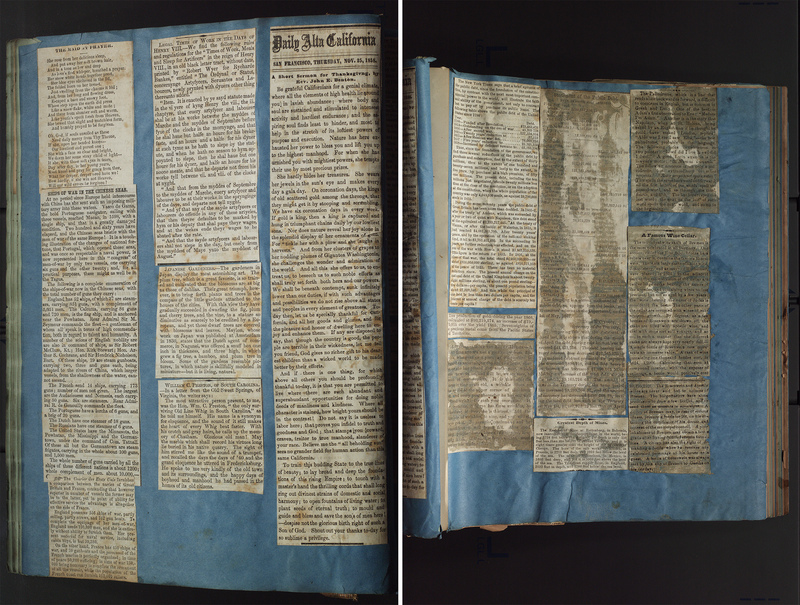 To prevent further damage in scrapbooks, archivists might interleaf the pages with alkaline paper to chemically balance the acid of the newspaper if it is touching fragile materials, such as photographs. 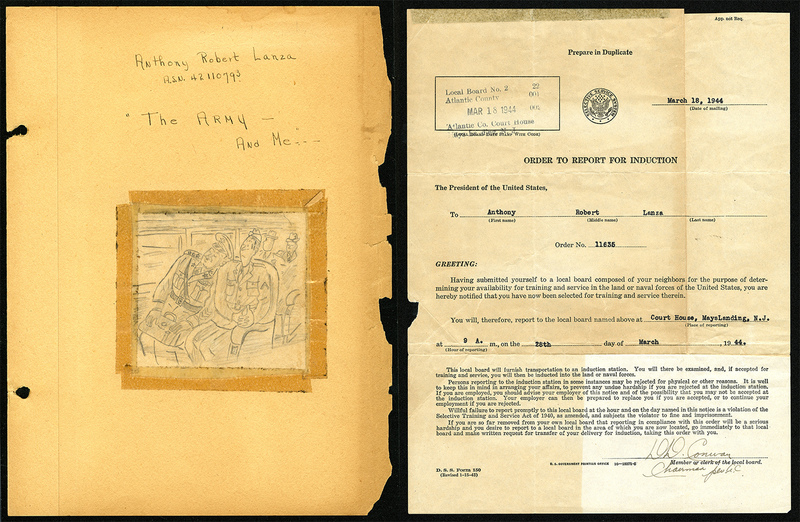 Despite the challenges scrapbooks sometimes present, the Archives Center chooses to acquire, preserve, and provide access to scrapbooks because they are careful, unique, and very personal constructions of moments in time that contribute to the telling of America's story. 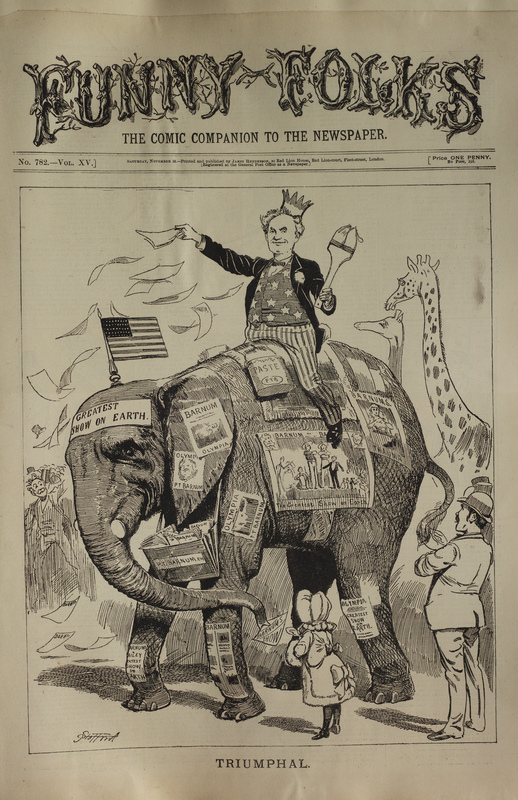 And, much like the scrapbooker who composes a story with glue and scraps of materials, the archivist helps make a larger story available to researchers, providing access to a collection of scrapbooks acquired from all corners of the nation on a wide range of topics. The archivist and the scrapbooker often share common goals: collecting and storytelling for posterity. So, the next time you create a scrapbook to share your story or favorite memories, remember your friendly archivist. Carefully choose your materials—especially your adhesive—and remember the importance of long-term preservation to keep your story alive for generations to come. Eva H. Buchanan-Cates completed an internship with the Archives Center in summer 2017. She is a junior at Kenyon College.